Sustainability is a major facet of smart cities. In our 21st century economy, leadership in innovation is necessary for economic leaders. Our infrastructure is a central platform for innovation and faster speeds spur innovation. Therefore, key to a smart city is connectivity-fast, easy and always on. Be it lighting, safety of traffic on the roads, security of citizens via Connected Closed Circuit Televisions (CCTVs), connected buyers, fulfilled needs of the modern population, healthcare and related services-the essence of a smart city is connectivity. This obviously means a robust communication backbone. In fact, it’s difficult to visualize a smart city without a communication backbone. The role of communication increases multi-fold in a smart city. The objective is not just people-to-people communications, but creating an infrastructure that automatically responds to needs of citizens. Amidst these developments, Digital India initiative aims at providing universal access to mobile connectivity and internet to the farthest corners of India. The smart cities mission is in line with this vision and telecommunications, as mentioned earlier, is the backbone of anything that relates to smart technology and development. With their Nordic heritage and values giving the exclusiveness, Copenhagen based Ramboll, has appropriately created several Smart City Solutions to suit this requirement. Ramboll is a leading engineering, design, and consultancy company. With 15,000 engineers, designers and consultants, Ramboll creates sustainable solutions within Telecom, Buildings, Transport, Planning &Urban Design, Water, Environment & Health,Energy and Management Consulting. Ramboll expanded into India in 1997 and over the years, their capabilities have grown to include Telecoms,Buildings, Oil & Gas, Environment & Health and Planning & Urban design. Ramboll’s Indian head office is in Gurgaon where the Global Engineering centreis situated and provides engineering expertise across the offices of Ramboll around the world. Ramboll’s principal offices in India are located in Hyderabad, Mumbai and Chennai along with five regional offices across the country. At Ramboll, it is believed that sustainability is the key to smart living and hence all solutions are designed to be in tune with the same. Ramboll’s Smart city solutions are versatile in function thereby ensuring the optimum utilization of natural resources. The smart elements embedded on a structure can also be powered by renewable energy sources. leading to easy analysis and improved decision-making. Traffic management is well-served intelligently. Besides that, Ramboll designs smart solutions that blend with the city’s culture, heritage and enhances it. Ramboll addresses the dynamic needs of a city with designs that have a minimal footprint, camouflaged as per the aesthetics of the city and to create self- sufficient sites. Ramboll’s Smart city approach follows a series of steps. Firstly, the overall goals are assessed, and various Smart city solutions are evaluated and feasibility studies are conducted. Next, Ramboll’s team of strategists examine the possibilities of engaging in value-creating partnerships to provide complete solution with expected deliverables Finally, the Smart city initiatives with the most significant socio-economic benefit are prioritized and conceptual or technological solutions as per the objectives of the client are identified. “Ramboll’s services reflect high-quality standards and our experts follow a stringent process to test the same”, adds Pankaj. "While keeping the aesthetics top-notch, Ramboll designs their smart solutions to be futuristic and upgradable with new and evolving technology from time to time"
Commute and Transport also play a very important role in a city and Ramboll combined its legacy of holistic planning of the world’s most live able communities with state-of-the-practice expertise to inspire clients to achieve their smart mobility goals in a city. Holistic mobility planning is done via innovative teams working at the cutting edge of pivotal areas such as Mobility-as-a-Service(MaaS), e-mobility, autonomous vehicles,strategic parking and sustainable planning. Ramboll’s approach is inclusive and dialogue-based with stakeholders in cities around the world for a better future. Smart city technology spending reached USD 80 billion in 2016, and is expected to grow to USD 135 billion by 2021, according to a report from the International Data Corporation(IDC). This is happening because cities are digitally transforming to improve environmental, financial, and social aspects of urban life. Telecommunications has brought about a revolution in the way we function in personal and professional lives. It is apt to say that Telecommunication is at the core of this growing, and rapidly evolving environment, in which almost everything is justa click away, be it banking, shopping, bill payments, social media, entertainment and a lot more. With the invasion of technology, there is an increasing need for cities to also be Smart. Since inception, Ramboll’s responsibility towards clients, society and employees, has been an embedded fundamental of Ramboll’s business behaviour. Within Telecom, Ramboll has been addressing the challenges of acquisition, footprint and aesthetics with its optimized designs, low footprint solutions, camouflaging solutions and self-sufficient sites. Camouflaging solutions include designs like palm and coconut trees which aesthetically blend with the surroundings while engineered to host telecom technology. In view of the developments in telecom technology and the coming of 5G, there will be an increasing need to have more closely placed poles which Ramboll is already addressing through infill sites and Smart street solutions. While keeping the aesthetics top-notch, Ramboll designs their smart solutions to be futuristic and upgradable with new and evolving technology from time to time. Since sustainability is at the core of Ramboll’s strategy, every feature that is integrated into the Smart city solution is one more step taken towards a more sustainable world. Ramboll’s expertise contributes to realising a resource efficient society with improved growth opportunities for businesses and better living conditions for people and nature. 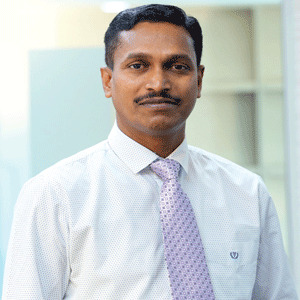 robust”, says K Suresh Babu, Director for Towers and Telecom at Ramboll. Enhanced safety, disaster mitigation, traffic management, reduced crime rates, green solutions, improvement of city infrastructure and beautification are some of the benefits of living in a smart city. Optimum usage of resources too is one such important benefit of smart living. One Smart structure is capable of multiple functions thereby saving a lot on resources. There have been many typical street structures with a singular purpose of street lighting system. Ramboll came up with Smart solutions that are multifunctional and use the same tower foot print area to replace these typical street structures with a smarter alternative. The features that will be fitted onto a Smart structure will depend upon the assessment studies that Ramboll team conducts on a city and identify its requirements. The benefits can be many more depending on the need of a city and hence Ramboll offers customised city solutions. Ramboll’s experts have offered several smart solutions that have been implemented at several cities and many other projects are currently in the pipeline, this is as part of the Government’s agenda of making cities smart. All the features fitted on to this structure are integrated to report to the command control centre where real-time data is captured, studied and analysed. Ramboll is engaged in seven other cities in deploying its Smart solutions and many Proof of Concepts (POC)s are underway in some other cities. Ramboll’s client base comprising a majority of telecom giants globally, appreciate the expertise of the company’s offerings towards optimization of costs, resources, time and effort, while maintaining world-class standards. Ramboll has over seven decades of experience in innovative, cost-effective design of towers, masts and monopoles and is an internationally recognized structural design consultant. A lot more value is added as this smart city enabler contributes to the various committees on international codes and standards and chairs the International Association for Shell and Spatial Structures(IASS) on towers and masts. "Ramboll’s smart city solutions are versatile in function thereby ensuring the optimum utilization of natural resources"
Ramboll has always progressed to significantly contribute to the development of sustainable cities that are smart and provide a smooth integration of smart elements to ease urban life making it more convenient. Ramboll envisions continuing to remain strong and play a pivotal role in ensuring and provide end to end smart city solutions across the country and beyond. •Power efficient LED Lighting system. •Wi-Fi antennae, environmental sensors with several parameters. •Emergency Call Box(SOS)and Public announcement system. •Electrical Vehicle Charging(AC/DC)and mobile charging points. •IP rating 19” cabinet rack to support equipment like battery bank, power bank, BTS (Base Transceiver Station) and others. •Traffic signals, digital display screens /billboard screens. •Flexibility to host multiple cellular technologies. •Integration of all the Smart elements to one command control centre.